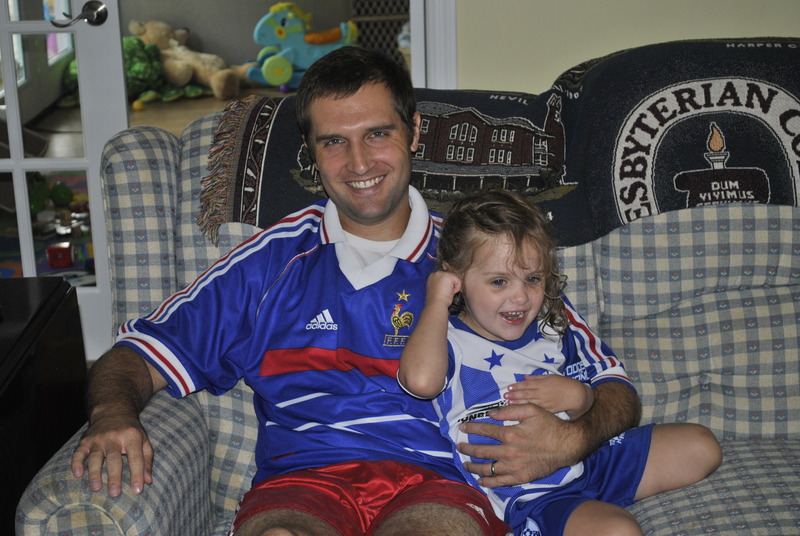 Taylor must dress appropriately for the occasion, so she put on her soccer jersey…so what if it’s a Honduras jersey or that Russ is wearing a French jersey (that he bought 10 years ago on our Maymester trip to Paris). At least the right colors are represented. During half time, they put on their cleats and went outside to play a little soccer – Russ is trying so hard to get Taylor to love soccer. I think it’s working so far…that is until she sees a pretty flower that needs picking. It’s a bummer that the US women lost – that would have been a much more fun memory for Taylor if she did in fact grow up to play soccer. 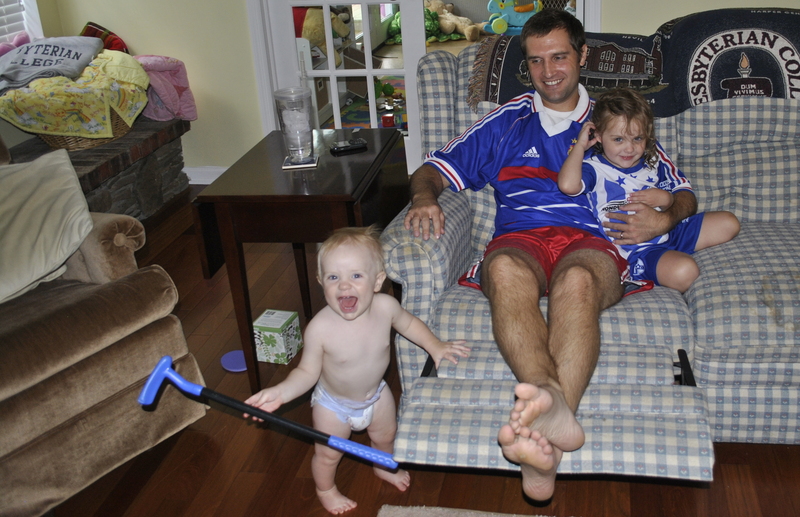 Maybe Caleb had the right idea about the game…I think he was trying to tell us that we should have been watching the British Open instead.